The Brother HL1040 is a single-functional laser printer which is ideal to use for small offices and workgroups that require black and white printing. The printer dimensions are 39 cm x 36.5 cm x 24.5 cm. It is quite heavy as it weighs around 17.2 kgs. This makes it difficult to move around. The printing resolution is 600 x 600 dpi and the print speeds are up to 10 ppm. The input paper cassette tray can hold 200 sheets, plus a manual feed slot, and provides excellent paper handling. There is a media setting control that allows obtaining the optimum print quality on different media types. The first page comes out in less than 15 seconds. For the processing of data, a 2MB of standard memory is provided. The print quality is sharp and fine with Brother HL1040 Toner Cartridges. It uses unique Straight Paper Path Technology. This ensures smooth, wrinkle-free printing on a wide range of media types & weights. 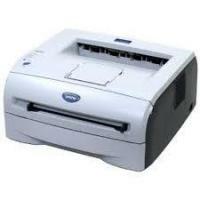 It supports different media types such as envelopes, labels, plain paper, and transparencies. The Brother HL 1040 is a good option for an office or a small business workgroups that require black and white printing. It is a laser monochrome printer that is connected using either USB or parallel connection. But the printer lacks multi functional operations as it is only able to print and the print speed is below average. Q. Is it necessary to print only on media that is compatible with a printer? A. Yes, it is recommended by manufacturers that you print only on media compatible with their respective printers. Doing otherwise always poses risk of damage to the machine or substandard print output. Q. If I install compatible Brother HL2140 toner cartridges, will I be able to print more than 2,000 documents? A. These compatible toner cartridges print more than 2,000 pages- in fact, up to 2,200 pages. Q. I’ll be replacing Brother HL2140 toner cartridges in my Brother HL2140 printer shortly. Since I’ll be doing it for the first time, I wanted to know if the printer has to be powered down first. A. Yes, you need to power down your printer before replacing the toner cartridges, so please do that without fail. Q. If I want urgent delivery of printer supplies, say within a couple of days, could you please suggest how I should go about placing an order for the same? A. If you require urgent delivery, please place your order before 12 noon as it will enable us to despatch your product on the same day (subject to availability of stock), so it reaches you on a 1 - 2 delivery day basis if everything else and route is fine and the location is not in a remote place. You may also call us on 048 30833221 to discuss the status of your urgent order. Q. Are compatible toner cartridges, including Brother HL2140 toner cartridges that I use, made from recycled material? Are they as tough as original cartridges and good enough in quality since they are used for the second time or so? A. All compatible toner cartridges are made using recycled material. They are as good as original cartridges in quality and durability even though they are remanufactured since they are okayed only after they meet stringent quality standards.